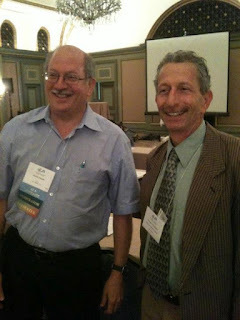 Dr. Reuven Firestone was the opening plenary speaker at the June, 2012 Association of Jewish Libraries conference in Pasadena, CA. He gave a fascinating talk called "Jews in the Koran, Jews on the Koran" to a packed house. In this brief interview, Dr. Firestone describes the theme of his talk, and also mentions his new book, Holy War in Judaism: The Fall and Rise of a Controversial Idea.